If your diet is always starting tomorrow... then this is the Little Miss mug for you! 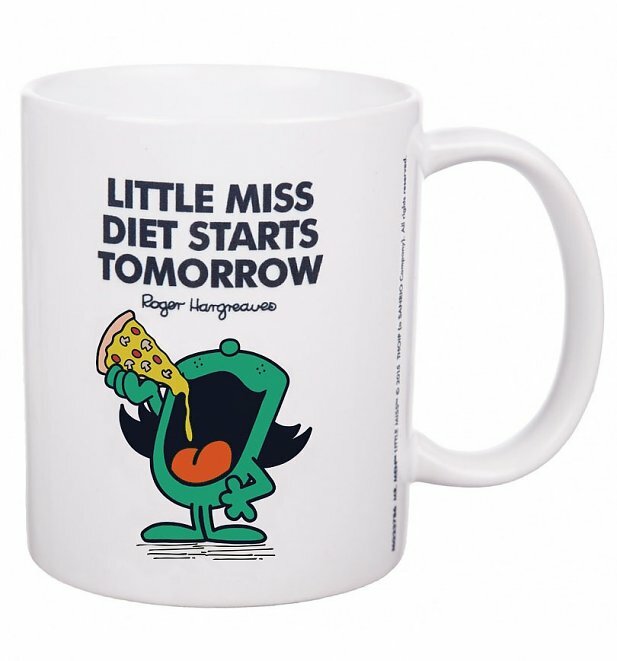 Little Miss Diet Starts Tomorrow loves her food far too much to calorie count. Because life is too short to not have another piece of cake right? Review: Exactly as described and expected. Review: Bought mug for a friend. We have been 'dieting' together for years. This really sums us up. Great fun gift. 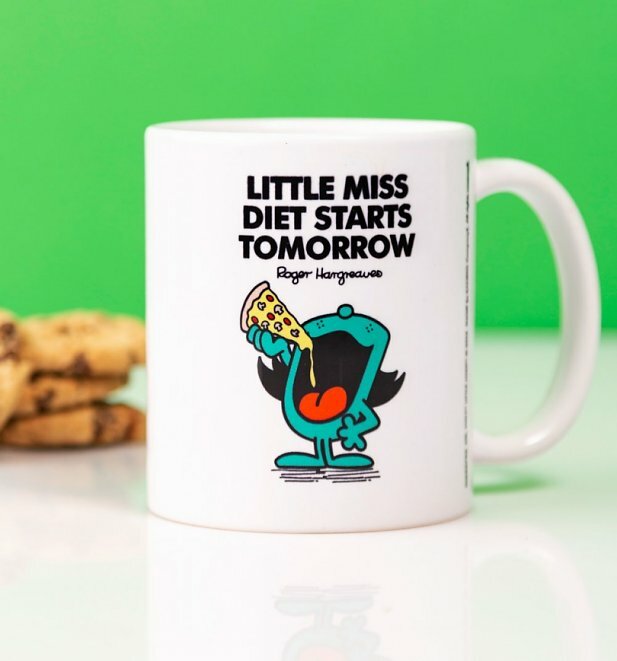 20030Little Miss Diet Starts Tomorrow Mughttps://www.truffleshuffle.co.uk/product_images/TS_Little_Miss_Diet_Starts_Tomorrow_Mug_6_99_FT.jpg6.99GBPInStockGBP/women/homewares/fairytales-and-books/gifts/80s/cartoons/mr-men-and-little-miss/homewares/kitchen/mugs/little-miss/homewares/kitchen/gifts-for-foodies/white-off-white/70s6.9900If your diet is always starting tomorrow... then this is the Little Miss mug for you!